The £400m Northern Powerhouse Investment Fund (NPIF) has announced the first investments following its launch in February, with more than £240,000 going to four SMEs. NPIF – Enterprise Ventures Debt Finance, provided a £100,000 loan to Sheffield-based TV/AV reception and distribution products manufacturer/importer and supplier Blake UK. The funding will allow the company to diversify its product range into new lines such as CCTV equipment and increase stock levels required for new product ranges. Business Finance Solutions has invested £100,000 in Greater Manchester based mobile CCTV solutions provider Red Security Solutions Limited (RSS). The money, sourced from NPIF – BFS & AFM Microfinance, will allow RSS to invest into a range of new hybrid and solar powered security solutions. NPIF – BEF & FFE Microfinance, provided £40,000 to Leeds based fire protection company Vulcan Passive Fire Systems. The company produces a range of fire protection products and systems. The money is part of a package which has allowed Vulcan Passive Fire Systems to employ four staff, with vehicles and accompanying equipment. NPIF – FW Capital Debt Finance, supported Birkenhead-based AEV Limited, a manufacturer of varnishes, resins, compounds and insulating products designed for the electrical and electronic sectors. The funding will support the company’s continuing growth strategy, particularly in emerging markets outside the European Union. Operating from the British Business Bank’s Sheffield head office, the Northern Powerhouse Investment Fund provides capital to fund managers who will offer Microfinance (£25,000 – £100,000), Business Finance (£100,000 – £750,000) and Equity Finance (up to £2m). NPIF works alongside 10 Local Enterprise Partnerships (LEPs), bringing together unprecedented partnerships with LEPs on both sides of the Pennines. NPIF also works with combined authorities and Growth Hubs, as well as with local accountants, fund managers and banks, to provide a mixture of debt and equity capital to Northern-based SMEs at all stages of their development. Northern Powerhouse Minister Andrew Percy said: “Our efforts to build the Northern Powerhouse are delivering real results for local people. More than one million businesses are already involved and foreign direct investments are up by a quarter. “This dedicated £400m fund will help us go even further. As part of our Plan for Britain to create a stronger economy, it will help smaller businesses across the region. 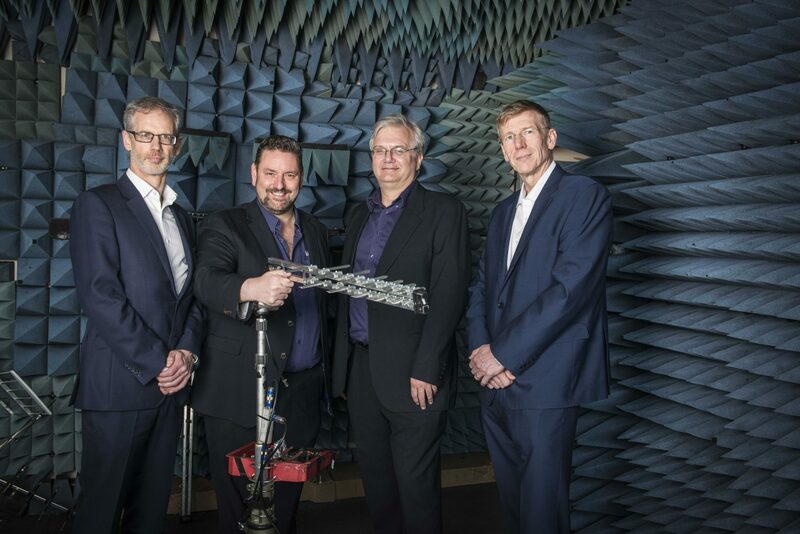 (L-R) Pete Sorsby (Investment Manager, Enterprise Ventures), Paul Blake (Managing Director, Blake UK), Cavin Carver (Operations Director, Blake UK) and Ken Cooper (MD, Venture Solutions, British Business Bank) in the testing room at Blake UK.